Mark Dsouza is a Physician Assistant, originally from Goa, India. He received his Bachelor of Medicine and Bachelor of Surgery degrees at St. John’s Medical College in Bangalore, India in 1980 and his Master of Science (Ophthalmology) degree at the Post Graduate Institute in Chandigarh, India in 1985. 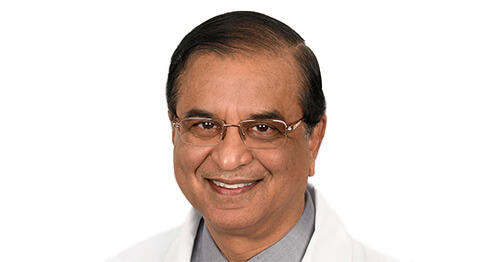 In 2012, he obtained his Master of Physician Assistant Sciences degree from Saint Francis University in Loretto, PA.
Mark has 40,000+ hours of clinical experience as a comprehensive ophthalmologist in India, where he regularly performed a variety of eye surgeries including cataract surgery, LASIK and PRK. Since moving to the United States, Mark has worked in primary care, specialty eye care and urgent care settings as a Physician Assistant. Most recently, he practiced at the Wilmer Eye Institute and the Emergency Medicine department at Johns Hopkins Hospital in Baltimore, MD. Mark is a member of the American Association of Physician Assistants, and he is certified by the National Commission on Certification of Physician Assistants. He is also certified in Pediatric Advanced Life Support (PALS), Advanced Cardiac Life Support (ACLS) and CPR. Mark has authored numerous abstracts/publications and received several awards and honors throughout the course of his career. He is heavily involved in volunteer initiatives and is a founding member of a free ophthalmic hospital in rural India. He has also committed a large amount of time to teaching and was awarded Outstanding Off-Service Educator in 2015, 2016 and 2018 by the Johns Hopkins Emergency Medicine department. Mark is available to perform general eye exams, urgent clinic services as well as pre/post-operative care. He offers extended and weekend hours and is based primarily out of our Minnetonka location. During his free time, Mark loves to swim, walk and read fiction. He has recently relocated to Minnesota to be closer to his family.